Taking a Defensive Driving program in Binghamton is now simpler and more convenient thanks to NewYorkCityTrafficSchool.com's internet Binghamton Defensive Driving PIRP course. It's completely on the internet and doesn't require any added downloads or software installs, so you can take this Binghamton Defensive Driving class using any PC or Mac with Internet access. 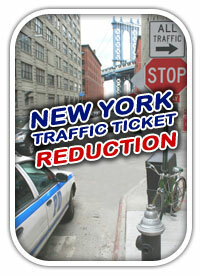 Our defensive driving course isn't the only easy aspect of what NewYorkCityTrafficSchool.com has to offer. We also make paying for your course a cinch! You can pay on the internet or call in to make payment, it's that easy! You are our valued customer and at NewYorkCityTrafficSchool.com, we are here to assist you with any issues you may have along the way. You can contact us via our 800 number or over email and one of our customer representatives members will be standing by to answer your questions. Our internet PIRP course is offered at the great low price of $24.95. You get everything you need for your 10% insurance discount, points reduced from your DMV driving record, and there's no final to take! In addition, your course fee covers the course, your Completion Documentation and the automatic reporting of your fulfillment to the NY State DMV. Another one of the benefits of our internet defensive driving course in Binghamton is that there is no excess paper-waste. There are no written tests to do, no NY DMV forms to mail in, and no paper traffic-school workbooks to print out. Everything you want is 100% on line... Now that's an eco-friendly defensive driving course Binghamton residents can count on! When you finish an I-PIRP course, you get the same full benefits of taking a classroom PIRP course. Drivers can reduce their driver violation point total by a maximum of four points, and they can save 10 percent on their car liability and collision insurance premiums. You may take the program in as many sessions as needed, but you have to take the program within THIRTY (30) days of registering. You can login and log out as you need with the username and password you setup during registration. Your data will be saved along the way!